would allow workers to shift their time and energy to higher-value tasks. However, they weren't so sure on what they needed to do to ensure they got the expected ROI from the robotic process automation software, said Mona Kahn, director of securitization and servicing technology at the government-controlled mortgage finance giant. So, Fannie Mae started by evaluating RPA vendors, considering factors such as cost, the time it would take to build and deploy the software robots that automate the task, what controls would be needed, and how the RPA software would work within a hybrid cloud environment. Then, after selecting an RPA platform from Blue Prism, Fannie Mae hired another vendor to help with integrating the new RPA technology. "We wanted to leverage the learnings from a company that had done it before so we didn't have to start at ground zero," Kahn said. Fannie Mae worked with its integration vendor to automate a review and notification process within its single-family mortgage operations area, a labor-intensive process that required workers on the team to move through 36 manual steps across five different applications and collectively spend six hours daily to complete the work. Now, the team needs less than 30 minutes daily to complete the same review and notification process. 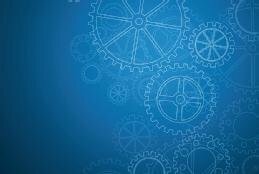 The success of that first project, a proof-of-concept case undertaken in late 2016 and deployed to production in early 2017, was not limited to automating one onerous manual process; it gave Fannie Mae a glimpse of the challenges an organization faces -- and the best practices it needs -- as it seeks to use RPA. That insight laid the groundwork for forming an RPA center of excellence to develop more bots to automate additional processes. As RPA software moves from an emerging technology to a mainstay within the IT application portfolio, Kahn, other enterprise leaders and analysts say onboarding and supporting RPA software, as well as maximizing its use, requires new procedures, skills and thinking to ensure success. RPA software automates rules-based manual tasks, saving organizations time and money by reducing the human resources needed for those tasks, said Alan Lepofsky, vice president and principal analyst with Constellation Research. Automation also increases accuracy and consistency within those tasks. "Where RPA comes in and really shines is in multistep processes that you can automate so that the end user can just click once and get the results back," Lepofsky said. Touted as a business-friendly technology and often sold by vendors through a business unit, RPA nonetheless usually requires IT oversight, especially for RPA implementations the company intends to scale across the enterprise. Lepofsky said IT's role in an RPA implementation, despite the technology's relative newness, is similar to the IT work involved in most other software deployments. IT must evaluate which RPA platforms fit best within its organization based on factors such as how well it can be integrated into the existing environment and how well it will scale to meet the organization's objectives. IT should evaluate which platforms have the features and functions the organization wants and how that balances against costs. And IT needs to help determine which RPA platforms best meet the organization's security needs and compliance requirements. Kahn said Fannie Mae leaders saw the need for additional work within IT as it started its RPA program. They believed IT needed new skills to support its RPA platform. They included new development skills needed to build and train bots as well as architecture-type skills to determine how to configure virtual machines to run multiple bots and to scale as demand for automation grows. Fannie Mae leaders also wanted IT to develop lifecycle management best practices, including a strong understanding of how to best run bots in production, Kahn said. She said the implementation vendor helped Fannie Mae's own IT team develop needed RPA skills and start on the practices it has in place now. Today, Fannie Mae has a center of excellence, the RPA delivery team and RPA operations command center, all of which fall under the Smart Process Automation and Robotics Center, or SPARC, with 18 technology and business-side employees working together using scrum methodology to automate processes in an agile fashion. So far, SPARC has automated 22 processes across the enterprise. The work has taught the team that RPA software is sensitive to the other applications in the environment, necessitating a strong change management practice to ensure updates and patches elsewhere don't impact or even break the bots. The RPA environment also benefits from a "daily shakeout cadence … to make sure everything is up and running and the bots won't fail at their jobs," Kahn said. Not all RPA deployments, however, require the same level of attention, Lepofsky said. He pointed out that some RPA software vendors provide preprogrammed blocks of code that enterprises can use to assemble bots; these can be simple enough for business-side teams to use to build bots themselves. "They're not hiring high-end developers to build it. The people who know the processes are able to essentially drag and drop it," he explained. Duke Energy Corp. implemented RPA software from Kofax Inc. in 2017 to modernize and advance some existing automated processes within its call center, said Paul Watkins, manager of digital strategy for the company based in Charlotte, N.C. Since then, he said, managers within various areas, including finance, HR, supply chain and IT, either have expressed interest in or are pursuing RPA projects. You don't know what's going to be the limitation when you go into the architecture, so you have to be on your toes and be able to adapt quickly. Paul Watkinsmanager of digital strategy, Duke Energy Corp.
Watkins said he selected Kofax in part to scale RPA within the company, but also because non-IT staff could work with it, provided they had a level of technical acumen. "We want to give them an automation tool they can understand," he said. Watkins said the company has three approaches to RPA projects. A business unit can have the IT team handle the project, it can opt to work with a professional services firm or it can use its own employees to perform the bulk of the work. "Some teams do their own automation with minimal effort from IT," he said, noting that he believes that RPA, like most software deployments, still needs a partnership between technical and business teams to be most successful. To that point, he said, IT took the lead on the adoption and implementation of the Kofax RPA technology itself. Technical teams had to work through issues such as security as well as re-engineering the environment to ensure, for example, that the platform could access applications needed to perform tasks. IT also had to rearchitect its virtual environments to support bots as they moved into production -- work that Watkins said wasn't initially anticipated. "You don't know what's going to be the limitation when you go into the architecture, so you have to be on your toes and be able to adapt quickly," he added, noting that such dynamics highlight the need for a strong partnership between business and technology teams. Meanwhile, the RPA implementation revealed the need for additional technical skills, particularly around programming and networking as well as work in database access and architecture. Not all companies, however, see the need for such involvement from IT as they embark on RPA projects; in fact, some companies are practically bypassing IT altogether. That's the case at the global software company Abbyy. Bruce Orcutt, senior vice president of global marketing, said the company adopted RPA technology to automate processes related to managing prospects and leads in its sales division. Orcutt said automating the process saved staff time and created a faster, more efficient process. "You don't need to be a coder to build these robots. You can be a businessperson who has technical acumen," he said, explaining that the firm used open source tools to automate processes starting in 2016 as part of its digital transformation efforts. He added, "IT has to be involved in the initial phases because you are touching their network and leveraging their infrastructure. But once the platform is in place and it's running, it's self-manageable by the business users. They're technical enough to configure a process to solve a problem without developing code or developing a product." Is your company working on an RPA implementation? What is IT's role?